The author has a dairy nutrition consulting business, Paradox Nutrition LLC, in West Chazy, N.Y. Transition cow success has improved on many dairies in the last 20 years. 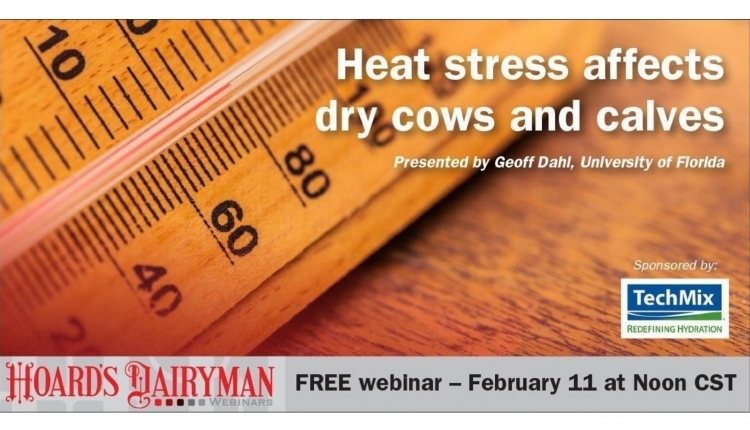 Many dairy producers have effectively focused on improved cow comfort during the transition period. How is transition success on your farm? Could it be better? 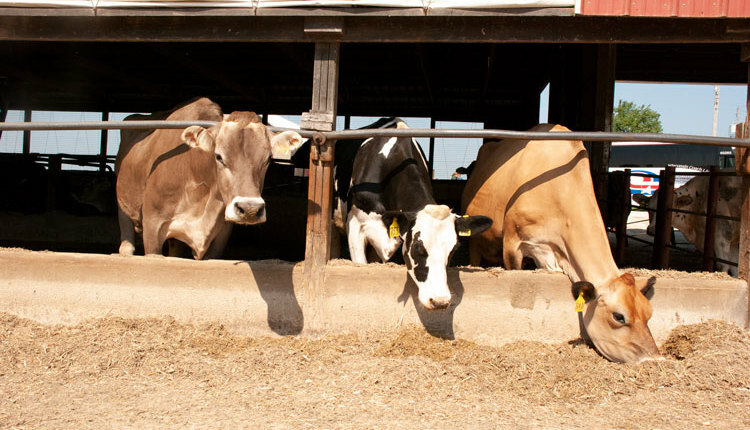 Dairy cows undergo huge metabolic challenges during the transition period. What new research, particularly in regard to amino acids, calcium status, and subclinical ketosis, should now be considered? In 1999, researchers at the University of Wisconsin used rumen fistulated cows to facilitate test cows “eating” the same amount of TMR (total mixed ration) during the week before calving as they did three weeks before calving. The researchers manually stuffed 28 percent more TMR into the rumen fistulas of the test cows during the week before calving than they would normally eat. These cows responded with lower liver fat at one day in milk (DIM) and 9 pounds more fat-corrected milk at 28 DIM. Researchers from the University of British Columbia have stressed that healthy cows reduce their intake on the day before calving rather than the week before calving. Greater intake before calving also is linked with less subclinical ketosis and metritis. Dry matter intake climbs with improved transition cow comfort and management. Purdue University research showed heifers that spent more time lying down and ruminating before calving ate more during the week before calving, and ate more and milked more during the first two weeks of their lactation. 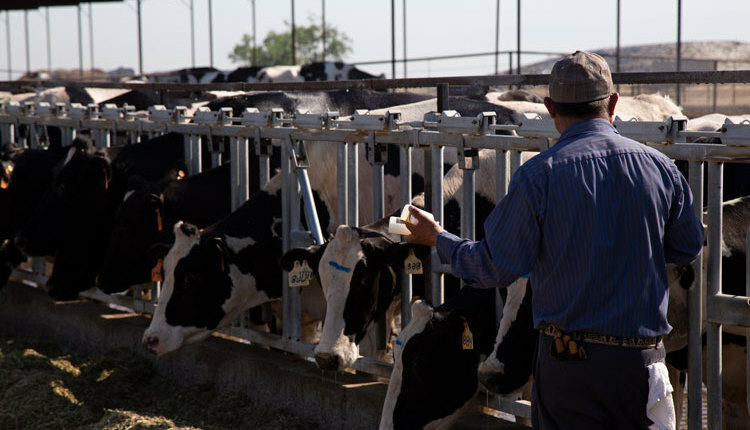 Intake will decline if stocking density is greater than 80 percent in the transition cow pen. For 16 cows in a group, have 20 headlocks in that pen. 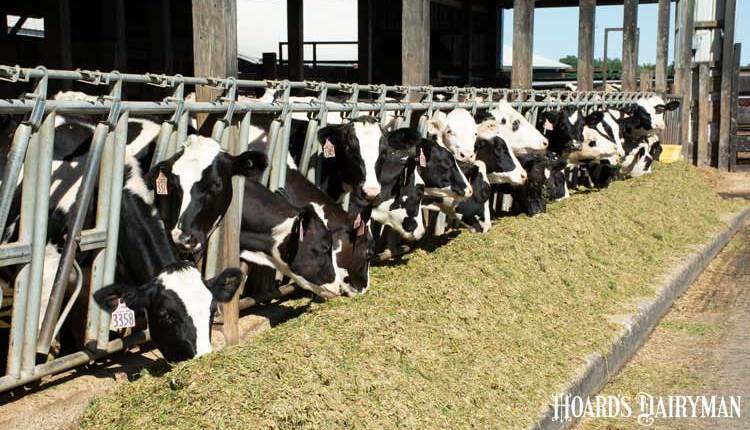 Transition cows should have a minimum of 30 inches of feedbunk space per cow. Stalls for prefresh Holstein cows should be 54 inches wide. 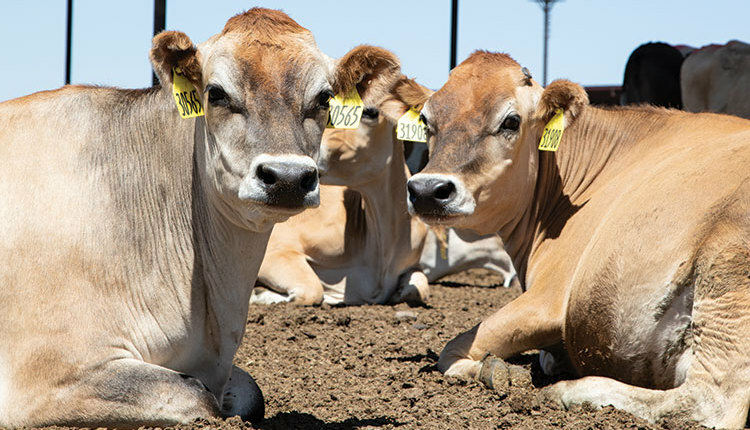 Ensure bedded packs have a minimum of 140 to 150 square feet per cow and are cleaned every two to four days. Limit pen moves. Every time that you move a cow, it stresses the animal. Stress can reduce intake, contribute to metabolic problems, and raise fat mobilization. 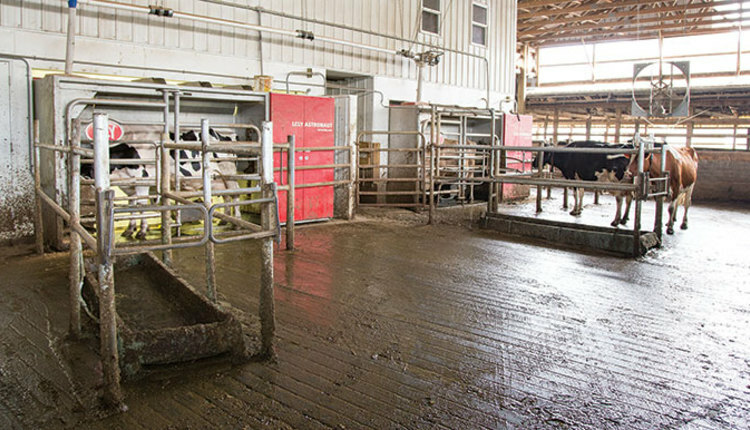 Many dairies now successfully control clinical milk fever, but many do not realize the cost of subclinical milk fever in their herd. With subclinical milk fever, cows eat less and are more susceptible to ketosis, retained placenta, displaced abomasums, and infections. Strategies to reduce subclinical milk fever include higher and more consistent daily intakes, reducing diet potassium (less than 1.3 percent), raising diet magnesium (0.40 to 0.45 percent), and adding a palatable anionic supplement to induce metabolic acidosis for greater sensitivity to parathyroid hormone (DCAD -5 to -15 mEq/100 g DM). One of the oldest approaches to controlling milk fever is to limit calcium intake. But using typical forages and feed ingredients, it is difficult to get dietary calcium levels low enough (0.25 percent calcium). Zeolites have been used as binders to attract positively charged ions like calcium and magnesium. These products reduce calcium absorption so that the cow mobilizes calcium reserves to improve calcium status. 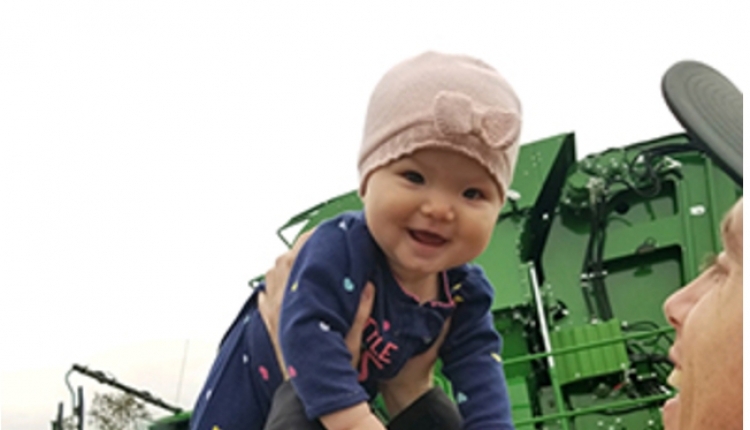 Recently, Cornell University researchers conducted a study with a zeolite and confirmed that it reduced subclinical milk fever. Zeolite may be helpful for those dairies that are unable to feed a consistently low-potassium diet to their prefresh cows. But zeolites must be considered carefully in light of their cost. However, Ric Grummer, an emeritus professor from the University of Wisconsin, recently pointed out that many studies with the “Goldilocks Diet” don’t actually show improvements in milk yield. The problem may be insufficient availability of NEFAs to support milk production. Today’s genetically superior cows are actually designed to use some NEFAs generated from body fat to supply needed energy. Ideally, we need to find ways to keep all the benefits of the “Goldilocks Diet” but provide more energy (from starch and NEFAs) to make milk. Starch can also enhance microbial protein synthesis to drive milk production. A prefresh diet with slightly more starch (18 percent dry matter or DM) may be more effective. Additives such as choline (to help export fat from the liver) and chromium (to raise the sensitivity of body tissues to insulin) should also be considered. Researchers recommend 5 to 7 percent dietary sugar in transition diets. 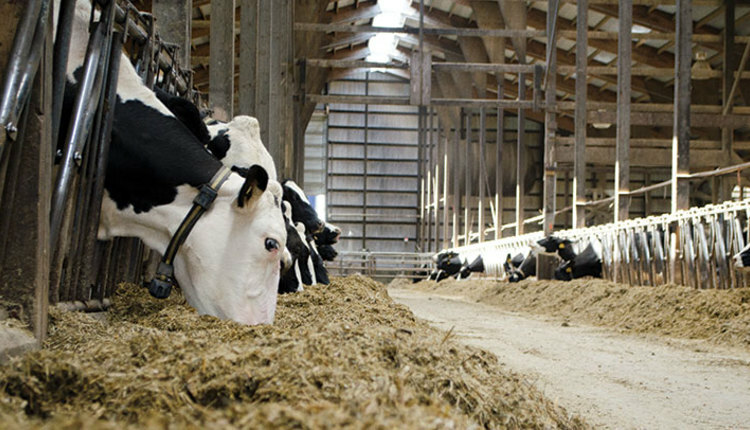 Sugars can improve fiber digestion, intake, and rumen microbial protein synthesis, often improving milk yield. Specifically for the transition cow, it may also help that fructose sugar is converted more directly to glucose without stimulating liver oxidation activity. 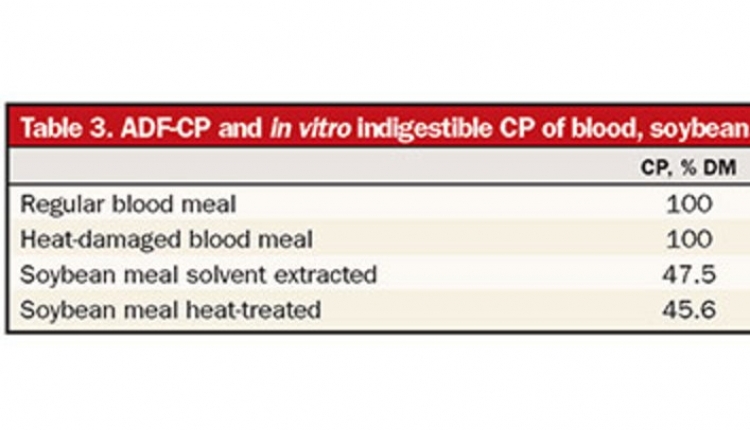 By replacing some dietary starch with sugar, there is less concern that excessive oxidation of propionate (from starch) in the liver will reduce dry matter intake in the transition cow. Amino acids are the building blocks of proteins. Specific supplementation of limiting amino acids like lysine and methionine can improve milk and milk protein yield. Especially during the transition period, it must be recognized that amino acids are needed for much more than to just make milk protein. Amino acids are also necessary for making glucose, for best liver function, for responding to inflammation and oxidation stress, for making hormones and enzymes, and to start preparing the cow to breed back. It may be more important to provide high-quality metabolizable protein (MP) to your transition cow than to your high-producing cows at 100 days in milk! Focus first on maximizing rumen microbial protein synthesis by providing adequate rumen available carbohydrates and degradable proteins. Then supplement quality rumen undegradable protein as well as rumen-protected amino acids. Provide a prefresh diet with 1,200 to 1,300 grams of MP, 35 to 40 grams metabolizable methionine, and 85 to 90 grams of metabolizable lysine. 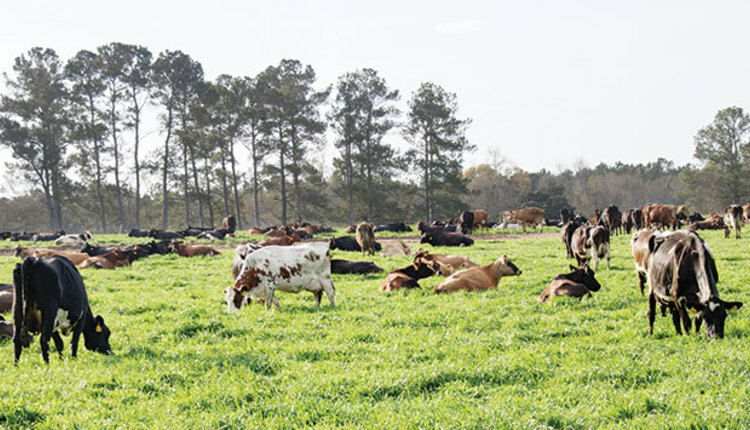 Fresh cow rations should supply 12.5 to 14 percent MP, with 2.6 to 2.8 percent of that being metabolizable methionine and 7 to 7.2 percent being metabolizable lysine. A recent study in which 7 grams of metabolizable methionine was supplemented in the prefresh diet and 12 and 17 grams of metabolizable methionine and lysine were supplemented in the fresh cow diet resulted in almost 9 pounds more milk per cow per day. Everyone wants cows that start their lactation well with good appetites and production. The cow’s road to reproductive success also begins during its dry period. Work with your nutritionist to make sure you are wisely investing in your transition cows. Often, dollars spent on transition cows yield the best returns! 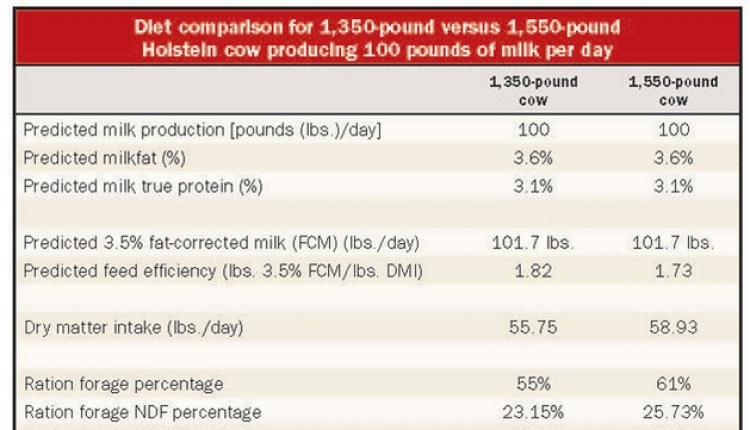 Are big cows or little cows more efficient?